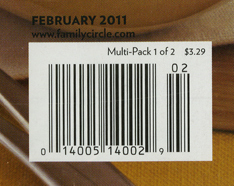 No one said that you have to have a Ph.D. in economic to be able to count the many different cover prices one magazine can have within a small radius of space. 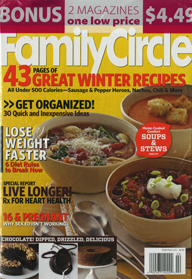 The Feb. issue of Family Circle magazine arrived earlier this month on the newsstand with a host of cover prices. From a mere $1.99 with a $.25 coupon from the cover price (at Wal-Mart), and the mere $1.99 with no coupon, to the only $1.99 with a star bust (at Books-A-Million), and the only $2.79 with a star bust (at Kroger), and the $3.29 as a two-magazines package (also at Wal-Mart, with Ladies’ Home Journal) and last but not least the $4.49 with yet another two-magazines package (also with Ladies’ Home Journal, at SAM’S Club). Look for yourself and judge! And while we are talking covers of one issue of one magazine, take a look at the subscribers’ cover and compare it with those of the newsstands. 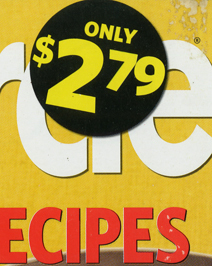 For some folks who say there is a science for the pricing of magazines on the newsstands, please help! 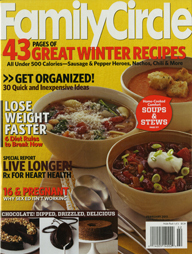 The Food Network magazine is thriving, magazines that are big flops are a production of “ivory towers”, and when I am reading magazines I am doing my job. Those are the headlines from my interview with the editors of the Northeast Mississippi Daily Journal for their 3Qs spot in today’s newspaper. Samir Husni, aka “Mr. 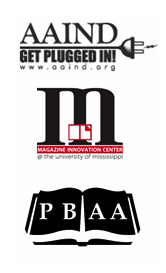 Magazine,” is the director of the Magazine Innovation Center at the University of Mississippi School of Journalism. He is also a professor and Hederman Lecturer at the School of Journalism. Considered a leading authority on magazines, Husni is the author of the annual “Samir Husni’s Guide to New Magazines,” which is now in its 25th year. He answered these questions from the Daily Journal last week. Q: Which of today’s magazines do you consider successful and why? A:Success is in the eye of the beholder, which is one main reason I do not attempt to define success these days by anything but survival. Staying in business these days is a success by itself. One magazine that emerged in the last three years and is not only surviving, but rather thriving, is Food Network Magazine. The magazine has been able to capture two basic addictions people have: food and celebrities. Folks who pick it up will not put it down until they start cooking. Q:What do you consider the biggest magazine flops and why? A:The history of American magazines is filled with flops and almost with no exception they all have one thing in common: the magazine was launched to satisfy the perceived needs of advertisers and not readers. Magazines that catered to what I call the concept of “counting customers rather than customers who count” have failed miserably. A few titles comes to mind: TV-Cable Week, which was published by Time Inc. in the 1980s, lost more than $47 million in less than a year, and Tina Brown’s magazine Talk in the early 2000s lost more than $55 million in a little over than a year. Both magazines had no connections with their audiences and were an “ivory tower” production, which leads me to conclude that the magazine that does not satisfy the needs, wants and desires of its readers first, no matter how much money is behind it, will not make it. Q:Your office is full of magazines and other publications. How do you find time to go through them all? A: I consider it a blessing from God that the gift He gave as a child – falling in love and creating handmade magazines from a very young age – has become my education and my profession. Not too many people can say when they are reading magazines in their office that they are doing their job. I can! If I am not at top of what is going on in the magazine world, I feel that I am doing my students and my university a disservice. The only way to serve my students is to stay on top of my field, and the only way I can do that is to make time for finding, buying and reading all the magazines that matter; and all of them do matter to me. Copyright 2011 NEMS360.com. All rights reserved. The status and future of magazines distributed via newspapers will be the topic of the panel that I will be moderating on Thursday Jan. 20 in New York City. The panel will include the four CEOs of the major media companies that publish and distribute such magazines. The panelist are John Cobb III, CEO, Publishing Group of America; Stephen Duggan, CEO, Athlon Sports; Chuck Gabrielson, CEO, USA Weekend; and Jack Haire, CEO, Parade. (Full bios are at the end of the blog). I have asked three colleagues to comment on the event and on the status of magazines distributed via newspapers. Lisa Scott, the executive director of PBAA and the event co-host answered my questions regarding who and why folks should attend the panel; Steve Cohn, editor in chief of min: media industry newsletter on the status of magazines distributed via newspapers; and Bob Sacks, founder and CEO of the Precision Media Group on the state and future of such titles. This panel, comprised of experienced CEO’s, offers anyone interested in the future of print media an opportunity to benefit from the panelists’ varied and cumulative insights, experiments, successes, mistakes, and reasons for optimism. Whether the attendee is a journalist, advertising professional, consumer marketer, media buyer, or supply-chain professional, there should be something to provoke or inspire or ponder on January 20. And I asked, why should anyone attend such a panel? Magazine and newspaper publishers and distributors will be able to understand why CEO’s are continuing to “bet” on print as a revenue source. More specifically, CEO’s can share real insight on the results of their research on their consumer audience, the role/value of digital media to these print-engaged consumers, and how and why they believe they can continue to woo investors in print media in the coming years. These insights can assist publishers and distributors to continue to build the case proving the vitality of print as a consumer’s media delivery vehicle in the years ahead. 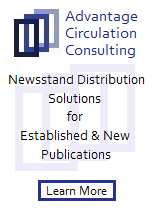 Newspaper-distributed magazines are growing because of (1) they fill a void created by the cessation of newspaper-published magazines due to their expense in a tough economy; and (2) they give newspapers added value. 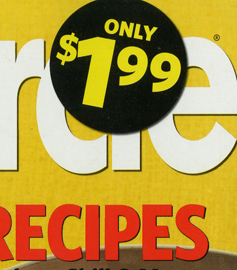 Until 2000, newspaper-distributed magazines were the realm of Parade and USA Weekend (formerly Family Weekly). 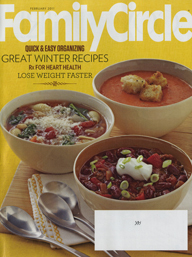 Then, Publishing Group of America came in with the successful launch of the largely “C”- and “D”-county targeted American Profile, followed by the monthly Relish (epicurean) and Spry (health). 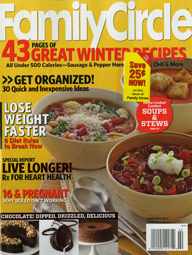 Now, there are periodically released health titles from Parade/USAW, and the Parade-owned epicurean magazine Dash is about to start a regular monthly frequency in February. 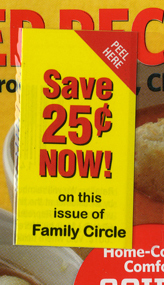 The advantage of newspaper-distributed magazines is that they don’t have to worry about circulation. Newspaper sales take care of that. Disadvantage, until recently, was that newspaper-distributed magazines were solely dependent upon advertising for revenues. Online is beginning to make a contribution here. 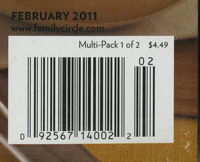 Traditionally, advertising in newspaper-distributed magazines has held its own in tough economies, because the titles’ large circulations and low CPMs versus television makes them comparably a bargain. Magazines inserted into newspapers surely are an interesting and successful business model for some on-going publications. 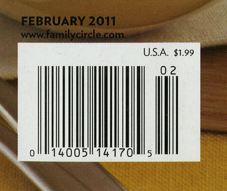 It is still difficult to attain those types of huge circulations from any publisher’s perspective. The numbers in your blog are, indeed, large and will stay that way for some limited time to come. But simple trend analysis reveals some interesting long-term data. In 1960 the penetration rate of newspapers into the American home was in the range of 1.1 newspapers per household. By 1995 the year before the great Internet adoption, it was down to .60 per American household, and by 2010 the penetration rate was resting under 0.35 per household. I guess my question is, where and when is the circulation plateau rather than the continued plummet of a 50-year decline? I would add that it is extremely important to note that the decline in household penetration for newspapers happened long before the rise of the Internet. 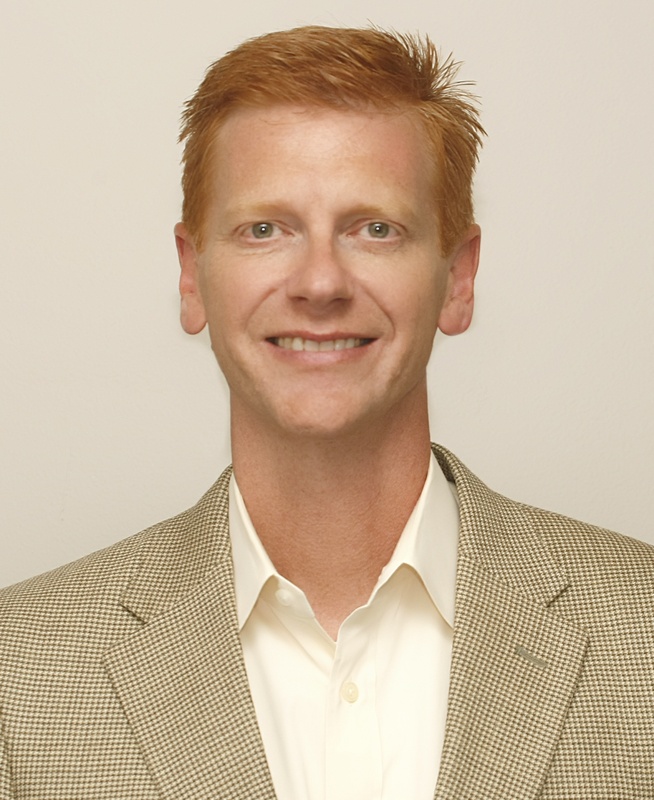 John W. Cobb III is CEO of PGoA Media, a publishing, digital media and event company built around the American Profile, Relish and Spry brands. 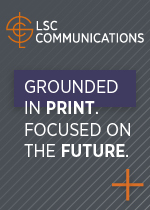 Cobb’s extensive background managing the expansion of print and digital brands puts PGoA Media in the best possible position to continue to deliver outstanding results for advertisers, tremendous value for newspaper partners and robust content for consumers. 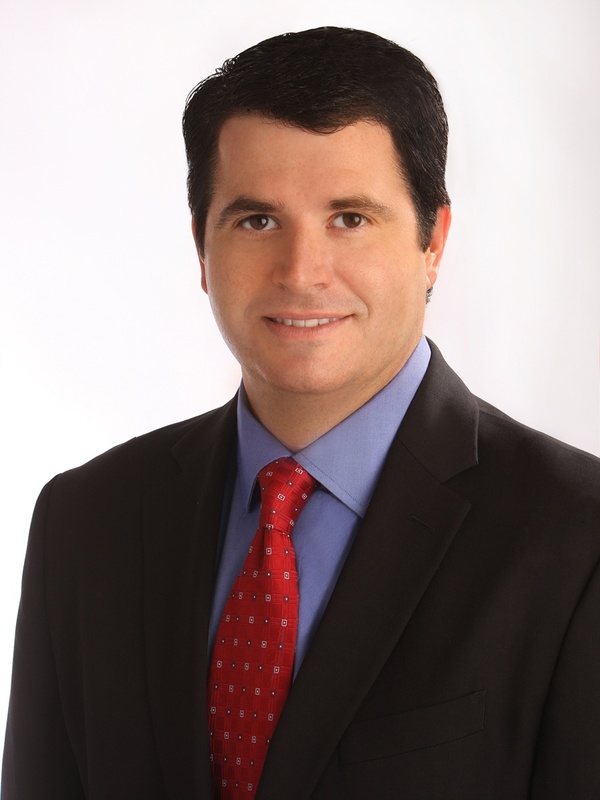 Prior to joining PGoA Media, Cobb was Senior Vice President, Digital at Source Interlink Media, which is the leading provider of automobile, action sports and high-tech content. He managed more than 100 web properties, including Motor Trend, Automobile, Hot Rod, Motorcyclist and Surfer with revenues of $50 million and 22 million unique visitors a month. With more than 20 years as a senior media/internet executive, Cobb has led and developed large-scale, multi-media properties for Petersen Publishing, EMAP, PRIMEDIA and Source Interlink Media. Cobb is based in New York and has a wife and two children. He’s an avid pilot and an active snow and water skier. He also enjoys golf, travel and technology. 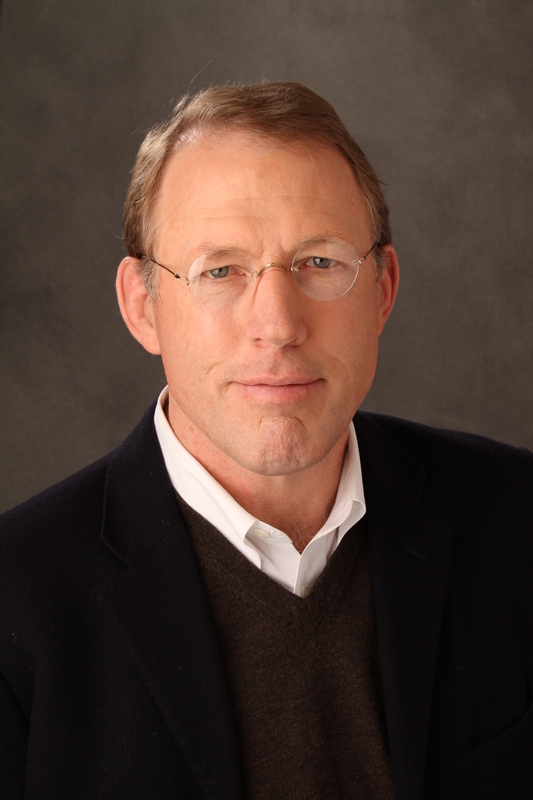 Stephen Duggan serves as President & Chief Executive Officer of Athlon Sports, publisher of Athlon Sports – the largest sports magazine in the U.S. with 9 million monthly circulation. Athlon is also the leading publisher of sports annuals with titles covering College Football, Pro Football, College Basketball, Pro Basketball, NASCAR, Pro Baseball and Golf. Prior to joining Athlon, Stephen spent the previous decade working with private equity backed media companies. In 1999 Stephen helped found Publishing Group of America. Stephen was integrally involved in the successful launches of newspaper distributed American Profile, Relish and Spry magazines. Following the Sale of PGA in 2007, Stephen served as Chief Executive Officer of Alpha Media Group, publisher of Maxim magazine, where he led the Company’s successful business and balance sheet restructurings. Maxim is the leading magazine targeting young men 18-34 with a rate base of 2.5 million copies monthly. Stephen currently serves on the Board of Directors for Questex Media Group, Inc, a leading global business-to-business (“B2B”) communications company serving multiple industries through a range of well-established, market-leading publications, events, interactive media, research, information and integrated marketing services. Stephen is a graduate of Murray State University. Charles “Chuck” Gabrielson joined Gannett in 1971 at The Journal News in Westchester County, NY (then Westchester-Rockland Newspapers). He began his career as a management trainee in the advertising department then served in advertising and marketing management roles, including Advertising Director. He joined USA WEEKEND in 1989 as Executive Vice President, named Publisher in 1996 and President and Publisher on January 2010. He previously served as Advertising Director of Macy’s Co. and Marketing/Sales Director of Advertising Age Magazine and Founder and Publisher of Creativity Magazine. 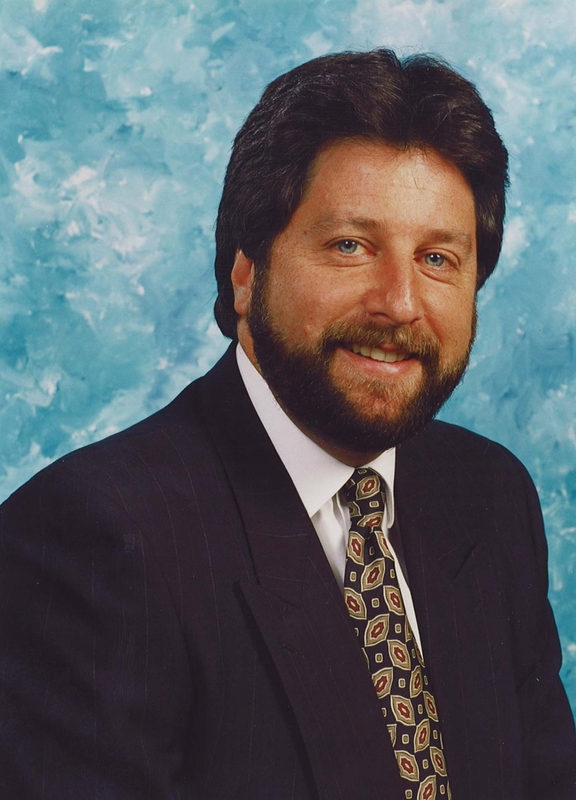 In 2009, Chuck was inducted to The Advertising Hall of Fame presented by MIN (Media Industry News). He is a graduate of Long Island University (LIU) and resides in New City, N.Y. with his wife Lisa. Jack Haire is President and CEO of Parade Publications. In his year and a half at the helm of the most widely read magazine in America, he has invested important resources in the brand and re-energized its business and editorial models. In addition to bringing top talent to Parade, Jack has helped forge strong partnerships with key newspaper and advertising partners. Under his leadership, Parade built a unique content distribution network with 40 million monthly unique visitors across 400 trusted newspaper web sites. Last November, Parade launched dash, a new food magazine and web business that will include branded content from Bon Appétit, Epicurious.com and Gourmet, marking the first editorial collaboration between Parade and Condé Nast. Prior to joining Parade, Haire spent twenty-eight years at Time Warner Inc. During his tenure, he was publisher of Time Magazine, President of the Fortune/Money Group, and Chairman of the Time Warner Advertising Council. On his watch, both TIME and Fortune were chosen as Adweek’s Hottest Magazine, measured by 3 year advertising growth. He also partnered with CNN on the launch of CNNMoney.com, one of the Web’s most successful and profitable finance sites. He serves on the board of Concern Worldwide, U.S., an international humanitarian organization, and as a director of LodgeNet Interactive and Top Ten Reviews. Haire lives in Connecticut with his wife and two children. He enjoys reading, golf, fishing, and playing or watching all sports. To join us at this event, click here to register. What Makes Newspaper Distributed Magazines Thrive in a Digital Age? Parade, USA Weekend, and American Profile magazines have a combined circulation of almost 60 million copies every single week. Add to that the monthlies Relish, Parade’s Healthystyle, Spry, Athlon Sports and Dash and the number jumps over 100 million circulation. What do all these magazines have in common? They are all magazines distributed via newspapers and are all expanding their presence on the digital front at the same time. The concept of magazines distributed via newspapers is not a new one, yet it seems that in the last few years more magazines, with some hefty large circulation numbers, have launched using this method. What gives considering that the prophets of doom and gloom are predicting the demise of newspapers, as we know them: ink on paper? This and many other questions will be at the heart of the debate, taking place on January 20 in New York City, at the Collaborate, Innovate, Celebrate CEO Roundtable sponsored by the Periodical and Book Association of America (PBAA), the American Association of Independent New Distributors (AAIND) and the Magazine Innovation Center (MIC) at The University of Mississippi. The panelist include John Cobb, CEO, Publishing Group of America; Stephen Duggan, CEO, Athlon Sports; Chuck Gabrielson, CEO, USA Weekend; and Jack Haire, CEO, Parade. The panel will be moderated by Samir “Mr. 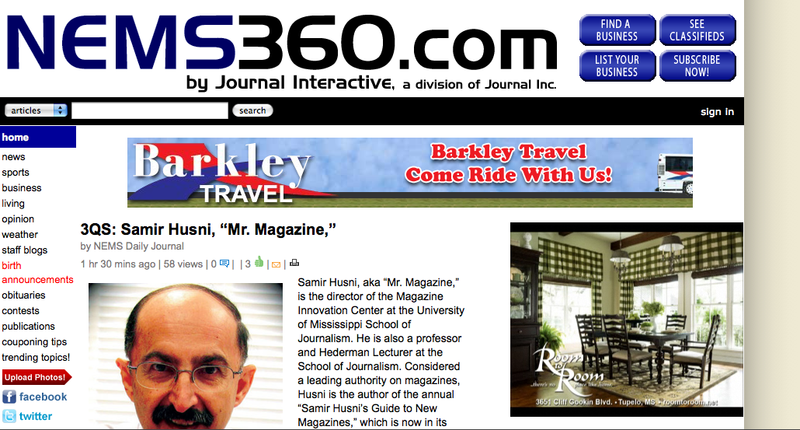 Magazine™” Husni, founder and director of the Magazine Innovation Center. The panel will also answer questions ranging from how are those publishers using digital to ensure a print future and what role does newspaper distributed magazines play in enhancing the newspapers readership and the newspapers themselves? What type of audience it is attracting? Are you after customers who count or just counting customers? For more information or to join us in New York City at the CEO Panel, please click here. 1. Romance the customer, the reader, the user, the viewer, the listener– but NOT the machine. That should be your motto in 2011. 2. Stop renovating if you are going to be in the business of innovation. 3. Throw a ball from left field, surprising your customers, readers, users, viewers, and listeners every time you interact with them. Give them what they expect, but surprise them with what they don’t. 4. Humanize your medium. Focus on the human voice, values, and vision behind the ink on paper, pixels on the screen, or bytes on the sound waves. In an age of isolated connectivity, humanizing the medium is a MUST, not an option. 5. Do not be afraid to charge for quality content. People are paying big money for what you think is not quality content. 6. Change your thinking and decide what is quality content based on your customers, readers, users, viewers, and listeners. Do not create based on you, but based on them. YOU are NOT THEM. Big surprise. 7. Hire someone younger, much younger, if you really want to innovate. Established folks drag a lot of luggage with them, intentionally or otherwise. Some may call this the wisdom of age, but I call it old habits that are hard to die hard. The “young and restless” drag very few and have yet to cement their feet in old or new habits. 8. Free yourself from the past but do not uproot yourself during the pruning season. The new leaves and branches are what make a tree look good, not the roots. However, without the roots there will be no tree. 9. Keep in mind that only 9% of companies survive any disruptive innovation. Start thinking (and bring in someone new to think for you) on how to be a minority survivor rather than a majority has-been. 10. You are living the dawn of a new age, the age of Transcended Media. Are you ready to start the conversation with your customers, readers, users, viewers and listeners? Are you ready to keep the conversation going and whet their appetite for more? 11. 2011 is no different from 2010 or 2000. If you are NOT creating an engaging, addictive, repetitive conversation with your customers, readers, users, viewers, and listeners, that only means one thing: you are DEAD. 13. Stop being only a content provider and marketer. 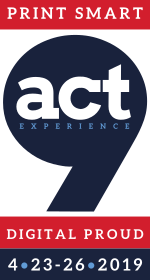 Start becoming an Experience Maker. There is where your media future starts. And that, my friends, will lead you into a healthy, wealthy, and above all, lively media world of 2011 and beyond. Samir Husni, Ph.D., is founder (2009) and director of the Magazine Innovation Center at the University of Mississippi, where he previously chaired the journalism department. Husni’s Mr. Magazine™ monicker comes from his tracking more than 18,000 launches since 1986, when his Guide to New Magazines debuted. The 26th edition of the Guide (Nautilus Publishing/Oxford, Miss.) will be released in February 2011. A very happy and fruitful 2011 to all. 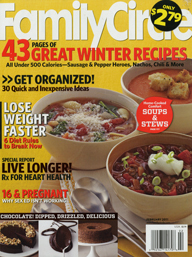 You are currently browsing the Mr. Magazine blog archives for January, 2011.